The Supreme Court on October 31 asked the Centre for pricing details of the 36 Rafale fighter jets India is buying from France but agreed that "strategic and confidential" information need not be disclosed. The Centre should give the details in a sealed cover within 10 days, a three-judge bench headed by Chief Justice Ranjan Gogoi said. In its order, the bench gave some more leeway to the government which has been arguing that pricing details are so sensitive that they have not even been shared with Parliament. The apex court said the Centre must bring details of the decision making process of the deal in the public domain, except those that are confidential and have strategic importance. The information must be shared by the government within 10 days and the petitioners could respond to it in the next seven days, the bench said and posted the matter for November 14. "If pricing is something exclusive and you are not sharing it with us, please file an affidavit and say so," the bench told Attorney General K K Venugopal in its oral observations. The top court was hearing four petitions, including one by advocate Prashant Bhushan and former union ministers Arun Shourie and Yashwant Sinha who are seeking a court monitored CBI investigation in the procurement of the fighter jets. "That you will have to wait," the CJI said, adding, "Let CBI put its house in order first." The attorney general had expressed reservations about disclosing the details of pricing of the jets and said its cost was not even disclosed in Parliament. He also said the documents placed by the Centre before the court are covered by the Official Secrets Act. The bench, also comprising Justices U U Lalit and K M Joseph, said the "core of information" that can be brought in the public domain should be shared with the "petitioner and petitioners in person". 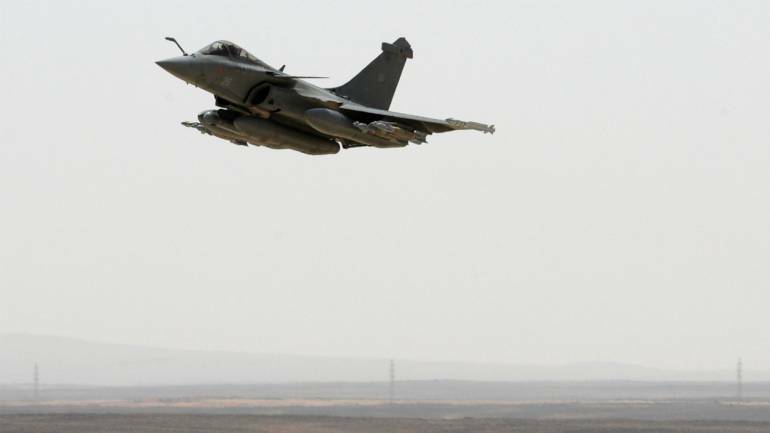 In its order, the bench observed that none of the petitioners has questioned the suitability of the Rafale jets, their equipment and their utility to the Indian Air Force. "What has been questioned is the bonafide of the decision making process and the price/cost at which the same is to be procured," the bench said. It also noted that following its October 10 order, the government has placed before it a note giving details of the steps taken in the decision making process leading to the procurement of 36 Rafale fighter jets. At this stage, the bench said, the court did not want to record any finding or view on the documents placed before it. It also observed that information regarding induction of the Indian offset partner be given to the court and the petitioners. When a counsel appearing for AAP Rajya Sabha MP Sanjay Singh told the bench he has also filed a petition in this matter, the court asked, "What is his interest? We don't have to entertain so many petitions." Shourie was present in the court during the hearing. In August 2007, the Indian Air Force advanced a proposal to buy 126 fighter aircraft and floated a tender. Following this, an invitation was sent to various aviation companies to participate in the bidding process. The public interest litigations (PILs) against the Rafale deal were initially filed by lawyers M L Sharma and Vineet Dhanda. Later, two other petitions were filed, one by Sinha, Shourie and Bhushan, and another by AAP's Sanjay Singh. The two former union ministers and Bhushan have sought registration of an FIR and have alleged "criminal misconduct" by high public functionaries. The trio has also sought a direction to the CBI to investigate the offences mentioned in their complaint in a "time-bound" manner and periodic status reports to the apex court. In 2007, they claimed, tenders were issued by the Ministry of Defence for the purchase of 126 fighter aircraft. It was specified in the Request for Proposal that 18 of these aircraft would be purchased from abroad in a 'fly-away' condition. The remaining 108 were to be manufactured in India in the Hindustan Aeronautics Limited (HAL) factory with transfer of technology from the foreign vendor. The plea alleges that the new deal gives undue benefit to Reliance Aerospace Limited (RAL) and the escalation of price of airplanes is to account for collateral considerations. The AAP lawmaker has sought setting up of a Special Investigation Team (SIT) under the supervision of the apex court to probe the Rafale deal. It should probe the reasons for cancellation of earlier deal entered into by the UPA government for the purchase of 126 fighter jets, he said.